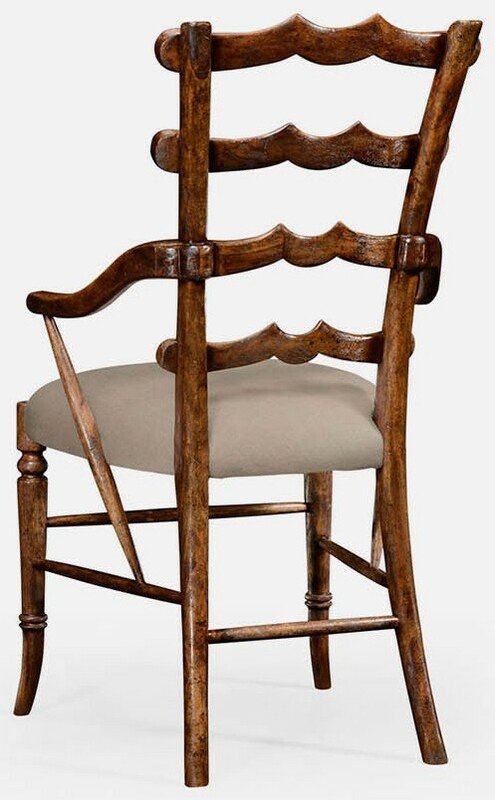 Unusual walnut ladderback armchair, the tapering rear panel filled with graduated "Yoke" splats. 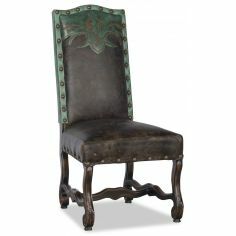 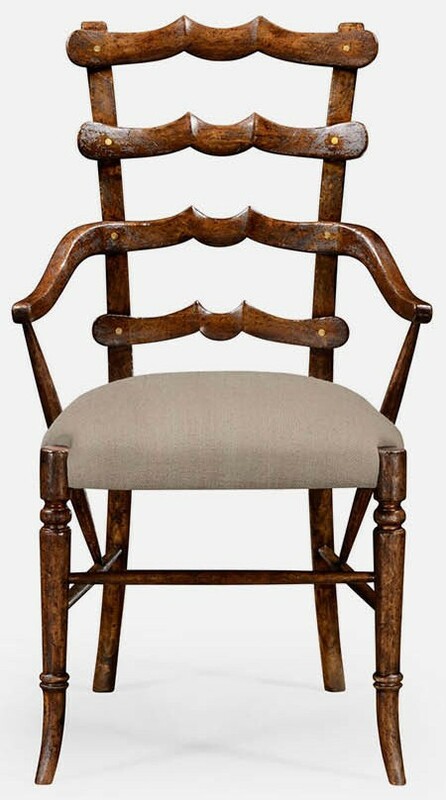 Upholstered seat with angled arm supports. 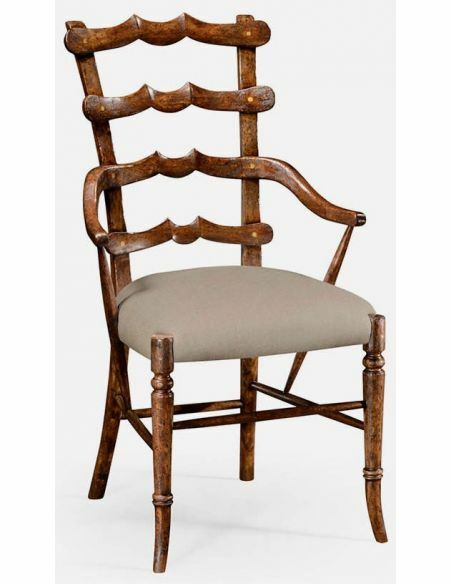 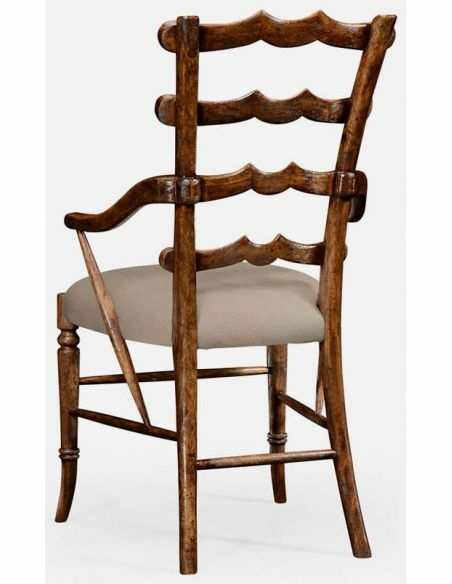 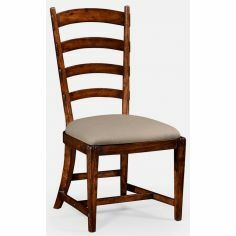 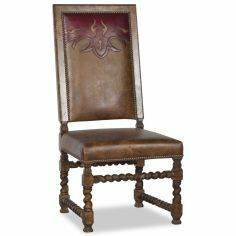 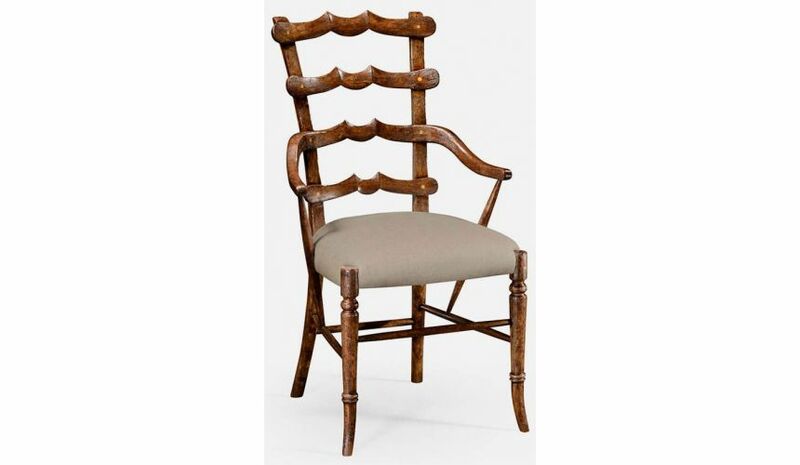 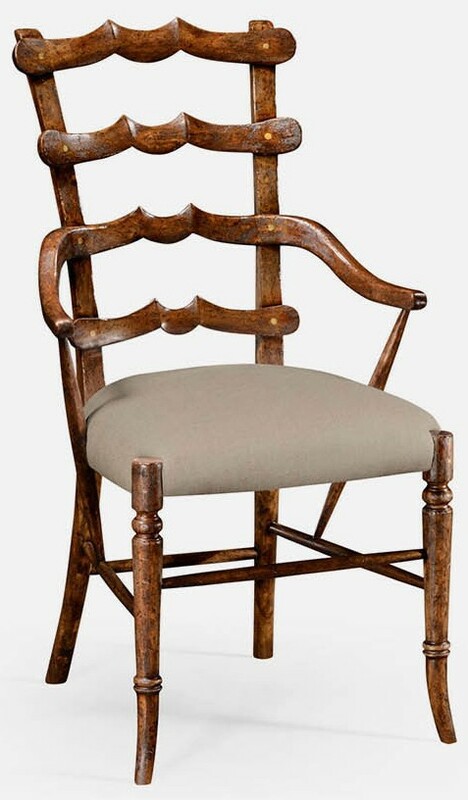 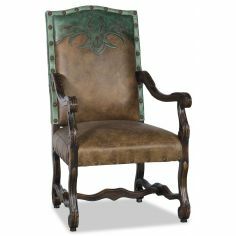 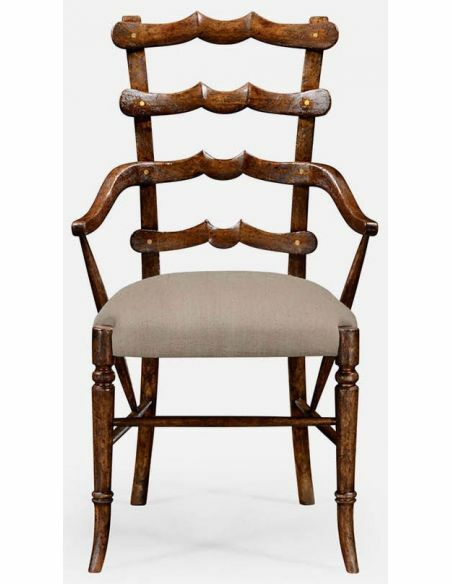 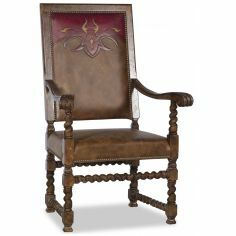 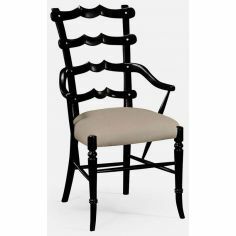 Side chair: 494909.